Every year there are a couple annual releases I really look forward to smoking. Like I've mentioned before, the Monster series from Tatuaje, the Holiday Blend from Viaje, and the Opus X are always on the list. 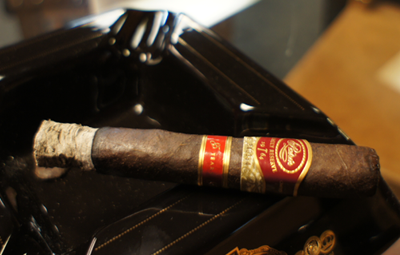 With that said, the release that might top this year's list is the Family Reserve from Padron. Everyone has heard of Padron cigars. 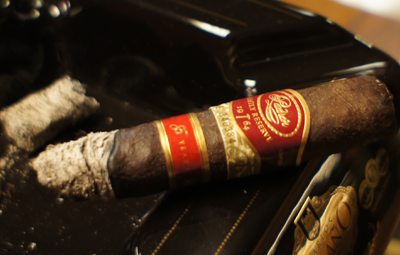 Padron has been a staple in the industry for producing extremely high quality cigars for decades. The Family Reserve line is their crème de la crème cigar each year. Quote from Jessica Padron about this release: The Padrón 85th was released to commemorate my grandfather's 85th birthday. Jose O. Padrón founded Padrón Cigars on September 8th 1964. Recently, we celebrated our 47th year in business. We hope you enjoy this cigar along with the history and tradition behind Padrón Cigars. I've been lucky enough to smoke my fair share of the previous Family Reserve releases and the thing that stuck me right away when finally getting to hold an 85th is just how much smaller it is than years' past. The 5.25 by 50 slightly box-pressed stick is a great size but took me a little off guard. The wrapper leaf was a very dark brown color with tons of tooth -- definitely the most tooth I've seen on a wrapper in awhile and perhaps all year. There were some visible veins here and there, but nothing too dramatic or overly ugly. The pre-lit aroma consisted mostly of hay, but had some hints of coffee as well. The cold draw had a strong oak flavor. 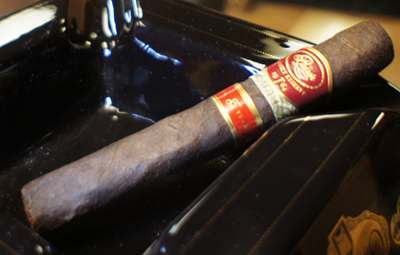 My Padron Family Reserve 85th started out with a very strong blast of spicy black pepper. It was very strong and tasted like I'd just chewed on a peppercorn or taken a teaspoon of fresh grinds and poured it on the center of my tongue. This cigar wakes you up right away. The nicotine strength was also noticeable from the start and I would say it was in the lower full range. After burning around an inch, I started to pick up some coffee notes on the finish that mixed in with the spice, which was still very strong, but at this point, some flavor profile changes were starting to happen. The second third took a dramatic turn in flavor and lost almost all of that very strong black pepper. It was a nice change because, although I love a spicy cigar, it was getting pretty one-dimensional and I generally expect more from a Family Reserve release. The flavors now took on a very rich dark cocoa on the front of each puff with black bitter coffee on the finish. The two complimented one other, creating a nice flavor combination. The strength of the cigar seemed to keep increasing and was now, even though only halfway through the stick, well into the full range. I could feel it in my chest as my heart beat picked up a little. The final third was delicious, but man it beat me up a bit with the power. The full strength of this cigar hit me pretty hard during the final third and made me think I should have had a bigger dinner. The flavor profile, however, was not secondary to the strength and the mixture of dark cocoa and coffee was still very enjoyable. 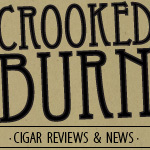 I didn't mention before because it almost goes without saying, but the construction was perfect and the burn/smoke volume was precisely what one would expect of a Padron release. 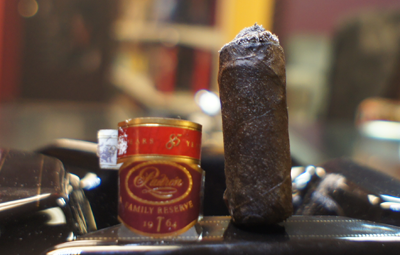 My final thoughts on the Padron Family Reserve 85th? This is a strong in power and strong in flavor cigar that ranks right up there with the other Family Reserve line releases. Would I say it's better than the 46 or 45th? I'm not sure I'd go that far, but it's close. The new size format is really pleasant and I would love to see Padron keep this trend going with these releases and stay away from the bigger sticks. It keeps the price a little lower and makes it easier to find the time to smoke one. Would I buy it again? I will pick up a few more of these when I can find them. Would I buy a box? This is way out of my price range for a box purchase. But if you have the scratch, it's worth it.